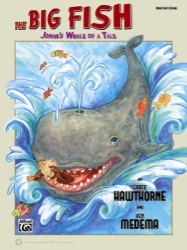 Here's the story of Jonah as only the creative minds of Grace Hawthorne and Ken Medema can present! With a jazz "film noir" touch, this 20-minute reproducible musical for young voices is easy to prepare and present . . . while being uncommonly creative. Hop aboard "the big fish" for an unforgettable ride! This item is the Preview Pack. Sold separately: the Classroom Kit (Director's Handbook plus Enhanced CD, which includes reproducible PDF singer's pages); Director's Handbook, Listening CD, InstruTrax CD.